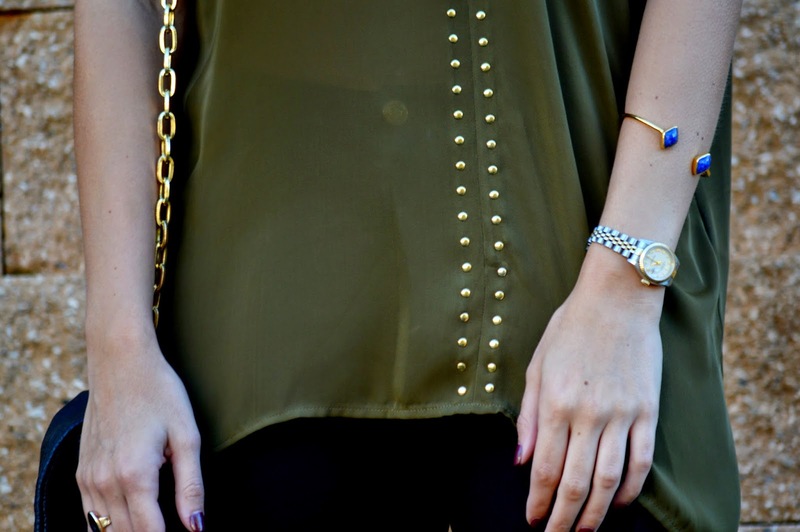 This fall, I'm loving everything olive. I found the most perfect olive handbag the other day, I but resisted the urge to splurge. I did, however, find this fab Michael Kors top at Marshalls and couldn't resist the purchase. The color was perfect, but the gold details ultimately sold me. I paired it with structured ponte-knit pants, pants that I'm way too in love with. I couldn't find them online, but found a similar pair with leather detail. I need to order, for sure! These pants feel more like leggings and are my go-to for fall. 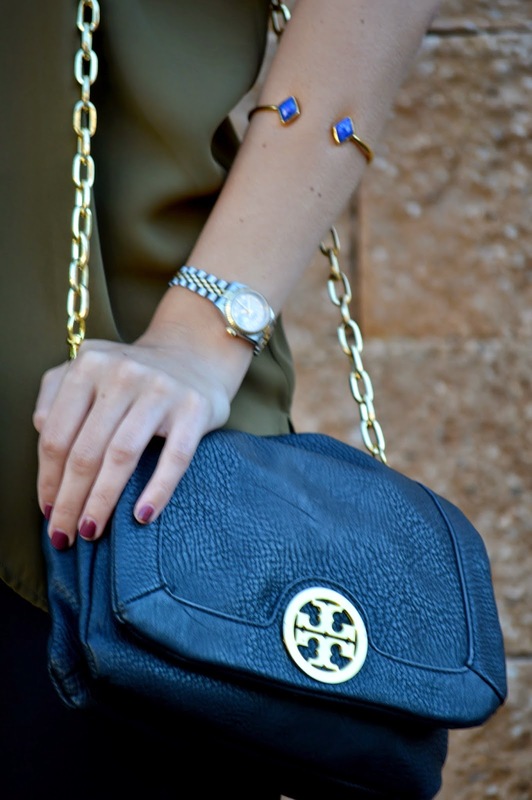 What's your favorite piece in your fall wardrobe?